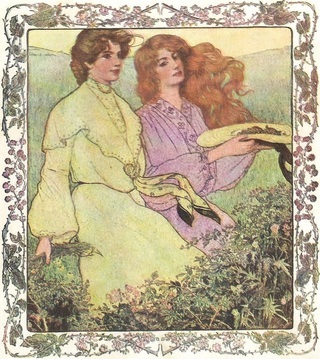 ﻿The L. M. Montgomery Literary Society is an international community of readers with a special interest in the life of Canadian author Lucy Maud Montgomery (1874 – 1942), her first novel, Anne of Green Gables, as well as her many other novels, 500+ short stories, poetry, letters and personal journals. We’re going to be the best of friends, said Gilbert jubilantly. We were born to be good friends, Anne. You've thwarted destiny enough. although many prefer to call her Maud. with whom she lived for nearly 34 years). L.M. Montgomery and how she created her stories! Please share with your kindred spirits! L.M. Montgomery Literary Society: image is from The Delineator Magazine, one of LMM's favorite periodicals. Post by Lucy Maud Montgomery Literary Society.